Do you want to learn how our pricing works, whether we will help you move on Sundays, and find out about our white glove packing services? You’re in the right place! You can search our FAQs by topic or browse information about each service that we offer. Got questions? Give us a call at 510-893-3810 for details. What is a commercial/business move? We work with businesses of all sizes to ensure that we provide the most cost-effective and efficient option for their business relocation. This can include everything from packing up individual offices for the move to storage of additional furniture while waiting for a new space to be prepped. Are there a lot of add-on costs the day of the move? We pride ourselves on being completely transparent when it comes to pricing. Unless there are significant changes in what we’re asked to store, move or pack, we stand behind our video estimates and will not add on costs that are arbitrary. Do you offer flat-rate pricing? All of our moves are quoted individually, because we know that no moves are exactly the same. This way, you’re only paying for exactly the services that you need — and nothing else. Sure! While gratuity isn’t included in our pricing, our drivers and staff work very hard to make your move successful. They are always appreciative of your business, but they would not turn down a little something extra. Average tip is 10% of the move. Do you only handle local moves? 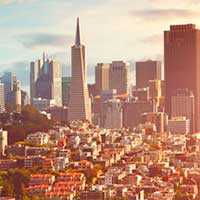 The California bay area is our home grounds: from Oakland, San Francisco to San Jose and beyond. We can handle moves of any size and complexity, no problem! Will you really pack up everything in my home? We are happy to! 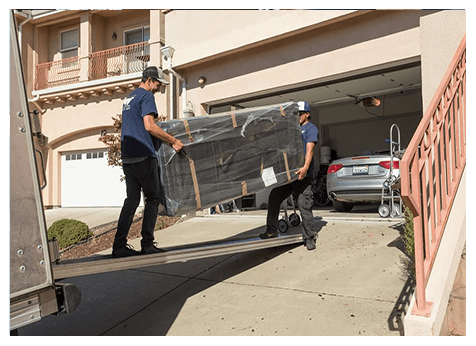 Packing is something we do every week, so we’re very comfortable handling all types of items and have a lot of experience keeping them safe during a move. We know what types of boxes to use, how to apply tape so it helps protect the box integrity and more. Are there any limitations to what you can pack? Items of any size are welcome. We are equipped with specialized crates and trucks to keep even the largest (or smallest!) items completely safe and scratch-free during a move. Do you offer a full-service packing solution? Yes! 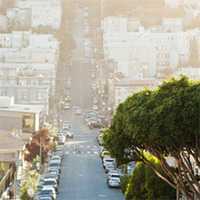 Our concierge service is very popular, and includes a turnkey solution for your move. You give us a call for a quote, and we take care of the rest. Can you store items of all sizes? We have plenty of room for storage, and can keep your oversized items such as furniture safe in our climate-controlled facility. Do you offer discounts for storage services and moving together? Many of our services are more cost-effective when bundled together. Why? This allows us to keep our teams together, giving us cost savings which are passed along to our customers. Is your storage space secure? Absolutely! 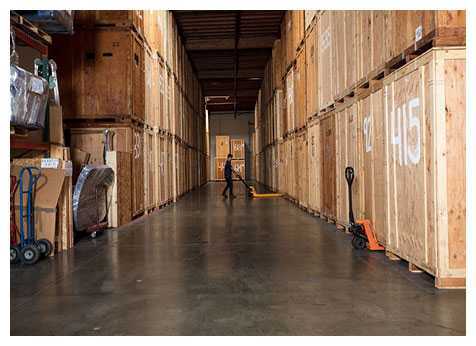 Our storage facility is incredibly secure, and has been safely protecting a vast quantity of items for years already. Are my items fully insured with you? While we do provide a level of protection for your items, we generally recommend moving insurance. 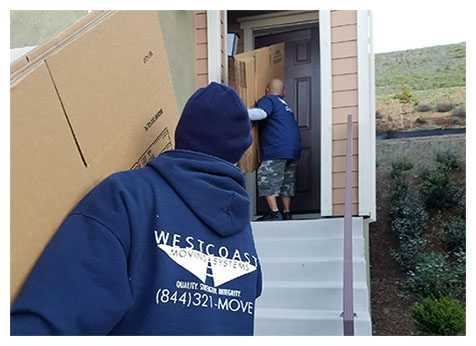 This will help cover any loss that exceeds the amount covered by West Coast Moving Systems. 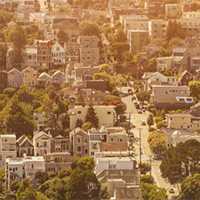 There is a standard coverage by moving companies that may be much lower than your loss: $0.60 per pound per item. This is a basic valuation of property. While we have 15 years of experience and are as careful as we can be, there is always the possibility of a traffic accident or other natural disaster that could cause significant harm to your goods. Can your staff answer my questions? Absolutely! We hire our teams for not only their ability to be stellar moving professionals, but also for their personality and customer service skills. We know you’ll be delighted with the level of service that you receive, but give us a call anytime with questions or problems at 844-321-6683. Is your 5-star rating real? You better believe it! We have worked hard for each one of our amazing reviews from satisfied customers. We are continually humbled by the kind words we receive from our customers. Sure! While gratuity isn’t included in our pricing, our drivers and staff work very hard to make your move successful. They are always appreciative of your business, but they would not turn down a little something extra. Or not!